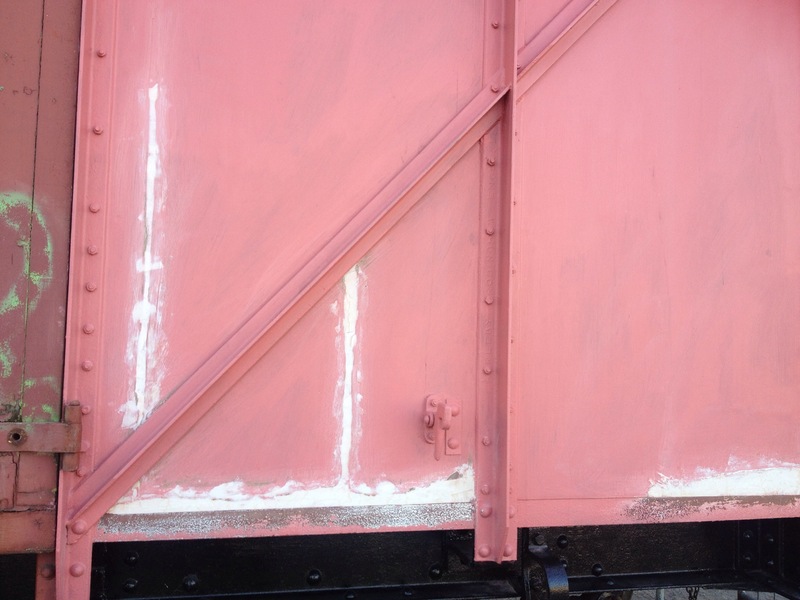 A couple of shots from this morning showing the work done to smooth out the sides of the MOGO, where rotten wood has been treated and filled. 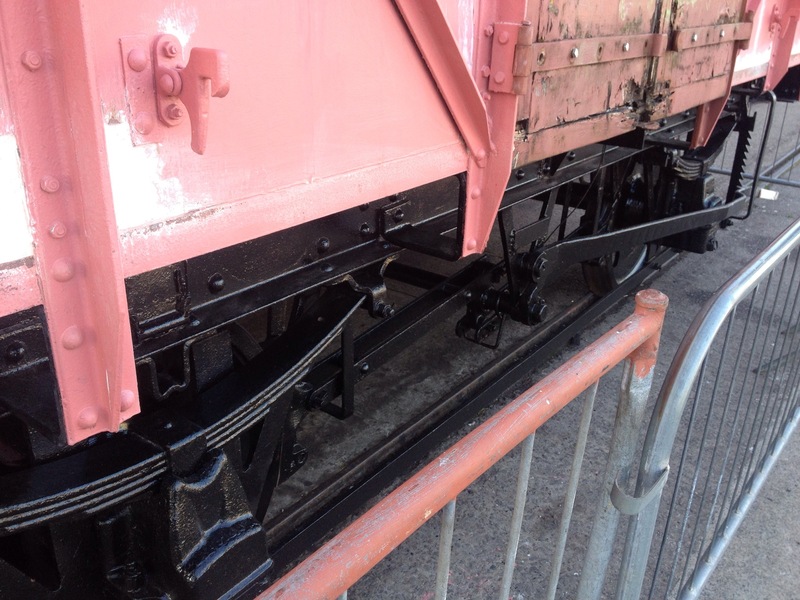 Also a view of the freshly painted underframes. 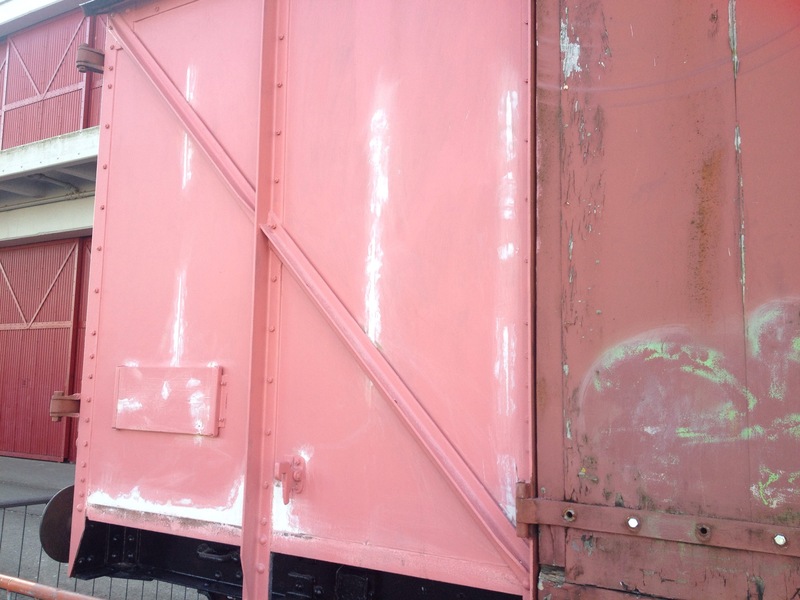 This entry was posted in Locomotives and Stock, MOGO Van, Rolling Stock and tagged filler, MOGO, paint, restoration, restore by corwinb. Bookmark the permalink.